To be able to take Driver Education in the Fall Semester, students need to have gotten their permit by May 31st. 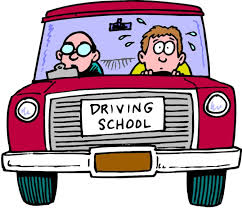 To be able to take Driver Education in the Spring semester, students need to have gotten their permit by October 31st. If we have a Summer Driver Ed. program, students will need to have gotten their permit by March 31st. Students must have a grade of 70 or higher in the classroom and a grade of 70 or higher in the in-car driving to pass this program. This course is a minimum of thirty (30) hours of classroom instruction, six (6) hours of behind-the-wheel instruction, and six (6) hours of observation as required by the Vermont Department of Education. It is designed to develop competent teenage drivers. Students must be at least fifteen (15) years of age, they must be in their second year of high school, and they must have received their permits by the dates above. (Full time NCUHS students have preference).